As it stands, regrettably, the Town of Richfield’s proposed Comprehensive Master Plan hasn’t yet accomplished its mission. So the Town Board – it meets on the second Monday of each month, and may act on the plan in either April or May – should put it on hold, at least for the time being, until the community’s will can be dispassionately determined and the plan revised to reflect it. A Comprehensive Master Plan’s goal is to capture the aspirations of a community and write those goals down so they can be systematically pursued; Richfield’s has been captured by a faction, judging from interviews recounted in this newspaper’s last edition. So all townsfolk of good will – and their leadership – should stop, reflect and try again. Here’s the story, as best we could determine it. When the six-turbine Monticello Hills Wind Farm was proposed in 2012 on the town’s west end, some neighbors objected. According to Dan Sullivan, one of the founders of the resulting Protect Richfield, which sued to block the wind farm, the neighbors found town government had little interest in their concerns. 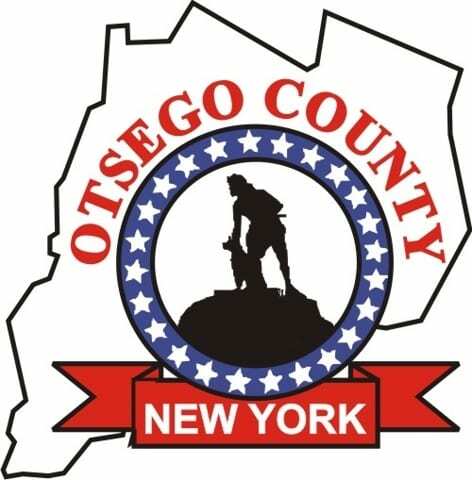 The suit would eventually fail, but when Otsego Now’s effort began in August 2015 to update the town and village existing comp plans for economic-development purposes, the neighbors saw it as another opportunity to protect their neighborhood, and got involved. Others began seeking appointed or elective office on the key town boards and commissions. Comp Plan went to public hearing March 12, wind-farm opponents controlled the Zoning Commission that prepared it, the Planning Board that must review it, and the Town Board that must approve it. 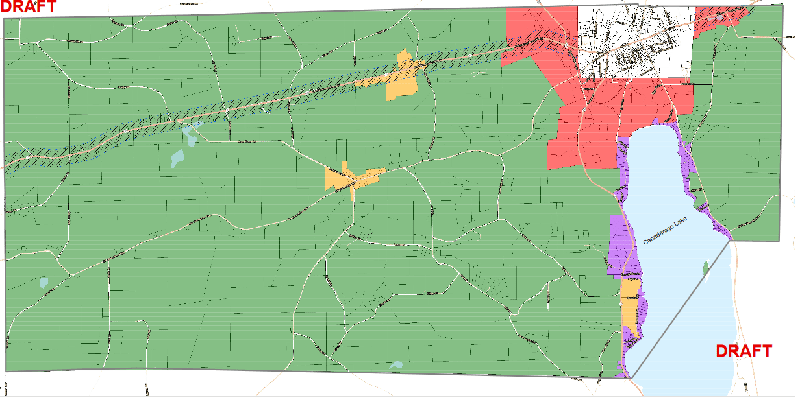 That, however, was not the limit of Protect Richfield’s vision: For 95 percent of the town’s land space, the updated Comp Plan envisions only farms, single-family homes and agri-tourism. ►One, a “Route 20 overlay” in the plan, which limits development to 500 feet on each side of the center line, was expanded to 1,000 feet, although she’s not sure even that is enough. ►Two, “home occupations” permitted in rural parts of the town – that includes such activities as building contracting – were limited to three employees each, and Sullivan agreed to lift that limit altogether. But she was also concerned that a limited commercial-industrial zone around the village itself, where municipal water, piped-in natural gas and sewerage are available, isn’t big enough to accommodate future growth. And, she said, other sites should be considered for such development, perhaps around the NYSEG substation on Federal Hill, which Otsego Now thought promising enough to put down $50,000 on a right of first refusal. The point is: Comprehensive Master Plans are intended to map a route to achieve the will of the community, and the Town of Richfield plan fails to do that. Yes, it fills the goal of the resurgent west end to block wind farms, but even with wind, is there another area of town where turbines might help deliver tax relief? 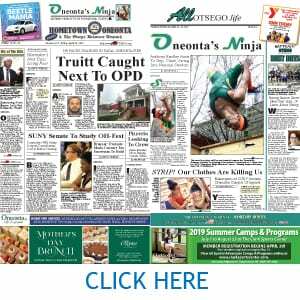 Even Otsego 2000, the environmental group – Sullivan is a board member – is touting Richfield, where natural gas is already available for development, over the City of Oneonta’s D&H yards. Doesn’t it make sense to expand the commercial zoning around the village? With Richfield Springs Central School’s K-12 enrollment at 425, isn’t there a desire for more single-family homes for young families with children, and jobs for the parents? And is the potential for lovely Canadarago Lake sufficiently reflected in the plan? As to agriculture, a couple of weeks ago, in response to a question from Otsego County’s Congressman Antonio Delgado, D-19th, Secretary of Agriculture Sonny Perdue painted a bleak picture of dairy farming in Upstate New York. “We’re not compelled to keep anyone in business if it’s not profitable,” he said. Does any local community want to hitch its wagon to that star? As it happens, there’s something that people of good will can do about all this: Run for town office this Nov. 5. But time is running short: Petitions to run for town supervisor or the two Town Board vacancies must be submitted by April 1-4. The good news is, only 16 signatures are required to run as a Democrat, 33 as a Republican, two as a Conservative, five as an Independent, and less on other lines. To their credit, Protect Richfield members were motivated to get involved in town government. But town government should be everyone’s. And Protect Richfield’s success is an inspiration others can follow. Individuals do make a difference. In the Town of Richfield, as everywhere in a Democracy, everyone should help chart everyone’s future.